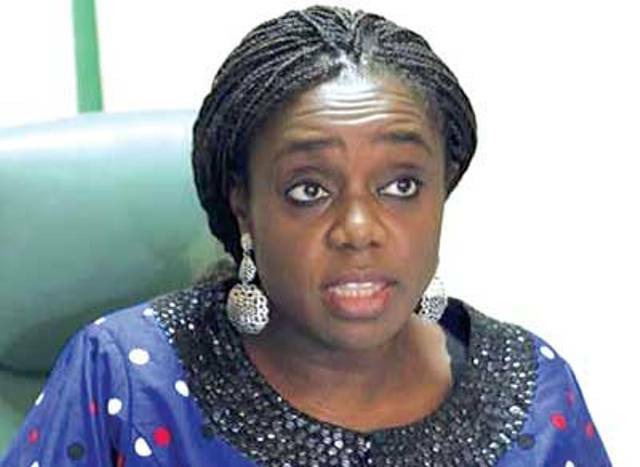 The social and mainstream media have been set on fire following unconfirmed reports of the Minister of Finance, Mrs Kemi Adeosun’s resignation. Thousands of Nigerians, especially those in the diaspora sees the matter as one that enjoyed Presidential cover. From instagram to twitter and facebook, comments over the matter have poured in ceaselessly. Adeosun has been in the eye of the storm since she was accused of forging her National Youth Service Corps (NYSC) discharge certificate. Although the matter, according to the Minister of Information and Culture, Alhaji Lai Mohammed, was under investigation, the Finance Minister has been under tremendous pressure to resign considering the huge political blow it would deal on President Muhammadu Buhari’s second term bid and the accompanying international image crisis that may spring from her non-resignation. When Saturday Sun visited the Finance Ministry headquarters Friday afternoon, workers went about their normal duties with no signs of the Minister resigning. It was gathered that she was at her office treating files, even though she asked the Permanent Secretary, Dr Mahmoud Isa Dutse to represent her at the Convergence Meeting of the West African Monitoring Zone that held at Transcorp Hilton earlier in the day. Buhari’s spokesperson, Garba Shehu, said the allegations against a key member of the administration were yet to be proven. His words, “The minister of information has spoken on the matter. And a process is ongoing to address the allegations. When that process is complete, Nigerians will know the outcome.